And because Leo and Fifi both go on walks together I couldn't exclude my little darling out of the post... 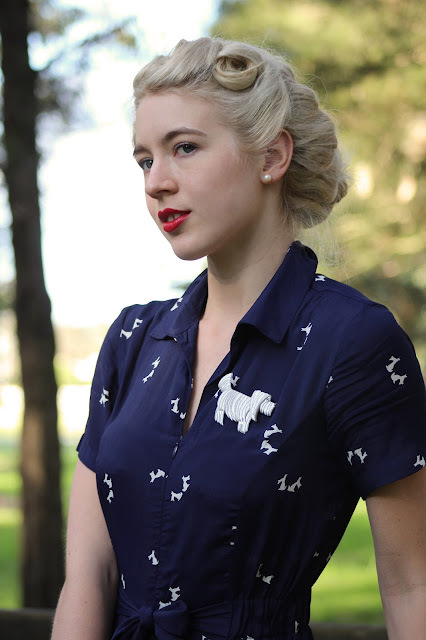 I also have an Erstwilder Poodle brooch which will soon appear on the blog! I have only just recently jumped on the Erstwilder bandwagon and it's so much fun when there are so many gorgeous brooches and accessories to choose from. 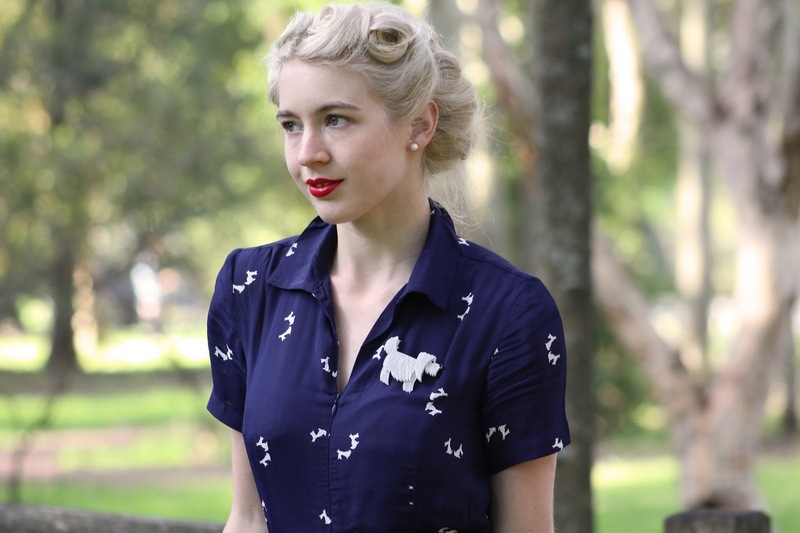 Erstwilder brooches are all designed proudly here in Australia! 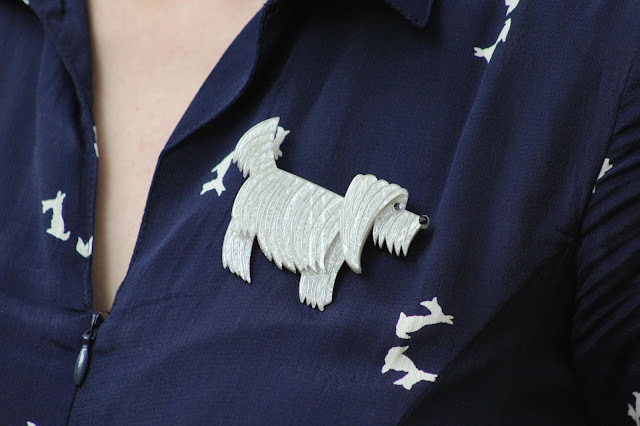 I was kindly sent a few brooches which I will be blogging over the next few weeks and I could not go past this cute brooch that resembles my beautiful dog, Fifi. 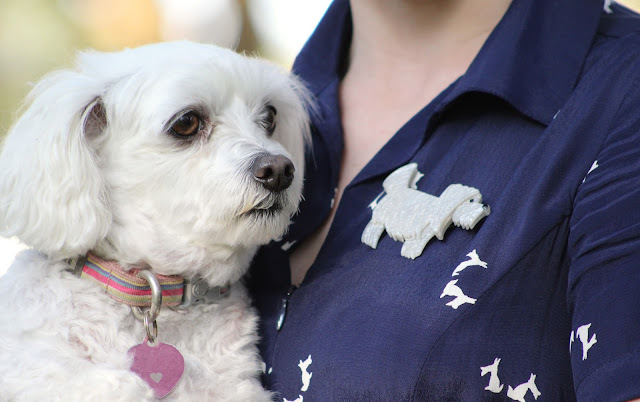 Fifi and Leo may have had their hair cut recently for summer and hitting the beach but come winter this is definitely what she looks like and as the brooch suggests, she needs to be groomed! These brooches are really great quality and I just love the packaging + little story that comes with them too. 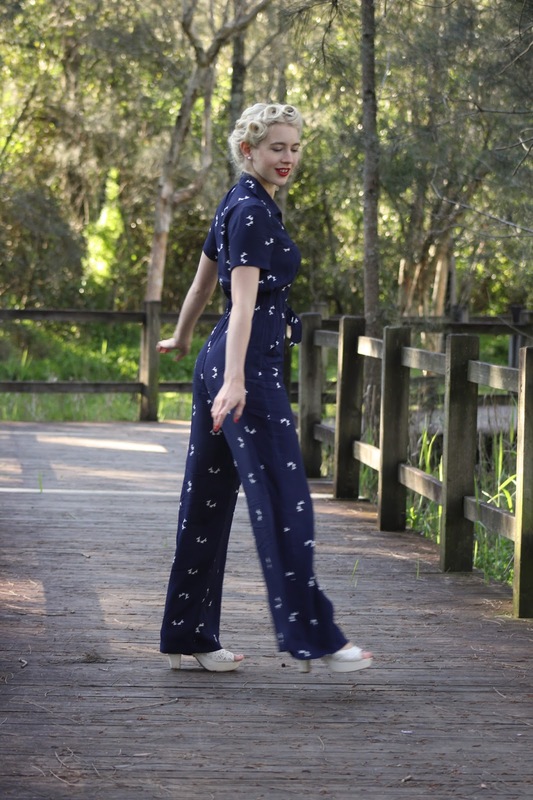 And now onto this fabulous jumpsuit! I recently won a voucher to UK store Rock n Romance and this Siren Suit had been on my wishlist for soooo long! I am new to this brand and thanks to their help I was able to get the perfect fit! The rayon fabric is soft and silky, the zip at the front is a wonderful feature and the tie with an elastic waist makes it comfortable and a lovely fit. This is one of my favourite pieces in my wardrobe now (yes, I know I say that a lot, but it's amazing) and I really want all of the other versions of it now. You can now shop all Erstwilder designs on their new website and you can follow them on Instagram @Erstwilderoffical! Oh you look so gorgeous in the jumpsuit! Just wow! And the pups are cute as can be. 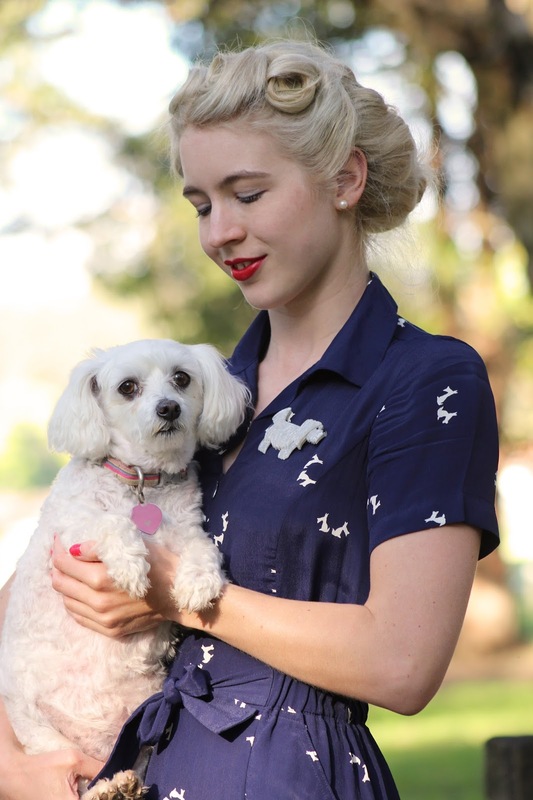 Thanks for including our Grooming Gracie brooch here lovely, she look very much at home, and in such wonderful style! Everything in your outfit is perfect. Perfect, it all matches so well! I've got my eye on some stuff from their store too! This whole fabulous outfit is off-the-charts adorable! The two dog themed pieces really do compliment each marvelously and are made all the sweeter by the inclusion of some of the darling real deal here. So adorable Kayla! This outfit is absolutely perfect for you! I love it!!! !